This is a follow up on the Fly infestation problems we have been having. Thanks to the City of Kwinana we have an update on the situation. On the 11th of January, Environmental Health Officers from City of Rockingham conducted an inspection of the Wellard Rural Exports premises which revealed there was significant fly breeding at the holding sheds and stockpiles. 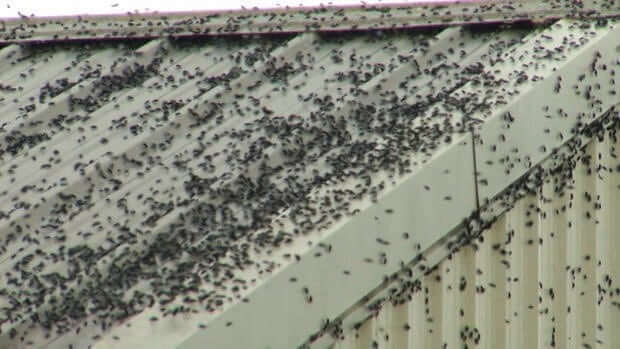 They have requested the company to employ measures to control the fly breeding and forwarded the inspection findings with complaint details to the Department of Water and Environment Regulation (DWER). We are still waiting to hear back from DWER on what they will be doing to ensure these matters are addressed appropriately and to ensure that their licence conditions are being met. In the meantime, DWER advised that all residents should lodge their complaints through the Pollution Watch hotline on 1300 784 782 or to report their complaints via the online form at https://www.der.wa.gov.au/your-environment/reporting-pollution/report-pollution-form. Please help us to get action from DWER by lodging your complaints now.